San Diego Real Estate, like its population, is plentiful and diverse. In the Metro region of San Diego County one can choose from any number of high rise condominiums. If you prefer a view of the harbor, real estate options in the Uptown Metro area could be exactly what you need. For those looking for a single family home on the coast, San Diego Real Estate will not leave you wanting. Whether you would prefer to be further south in the region of South Bay, or looking for homes for sale in the San Diego County area, you have over 70 miles of coastline to explore in search. Some people prefer to be slightly away from the coast to enjoy the change in natural scenery and the more modest pricing. In that case, the regions of Inland East County, Inland North County, or Inland South County most likely have the San Diego Real Estate you are looking for. Regardless of being in one of the Inland or one of the Coastal regions of San Diego County, the real estate and homes for sale are waiting for you to move in. 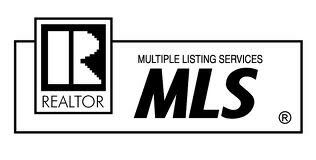 The options are virtually limitless among the available real estate in San Diego County and our San Diego County REALTORS® show you them all.